Drivers should always be learning. Learn from the road, other drivers, classes, and learn from books. 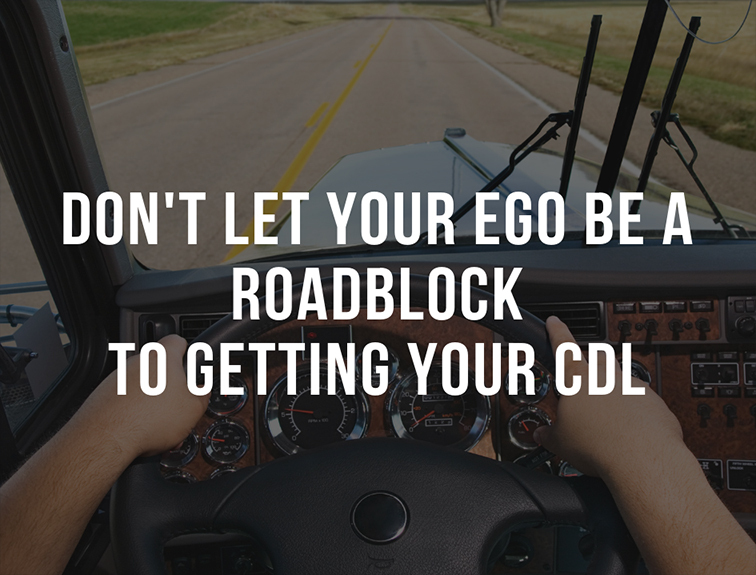 When seeking your CDL, you have to stay humble, take control of your ego, and really listen to what the instructor has to say. Others in class may offer questions you had never even thought of. Stay positive. For every bad, there is a good. If you listen to the wealthiest people in the world, they all have a few things in common. The most important is to stay positive—failure is a learning opportunity. When your truck breaks down or traffic makes you late for a delivery, don’t be frustrated. Remember to get your truck checked before rolling out and plan a better route next time. If you’re having trouble with part of a CDL course, take a step back and remember: the questions you missed or the activity you struggled with will stick even better in your mind than the easier tasks. Are you rolling your eyes or struggling with part of the class? Understand that you can take action to change these things, but you have to realize that you are doing it. Pulling yourself out of a situation and saying, “Wait a second, should I do something different here?” is a valuable skill. So much so that the US Navy Seals do it even in split-second decisions during combat. If you don’t understand what is happening, ask questions! Ask the instructor, a classmate, or another driver over the radio. You will never know what you don’t know until you seek the answers.